Accelerate testing throughout the software lifecycle, broadening coverage and improving quality. As business reliance on new technology areas including analytics, data virtualization and cloud computing increases, so does the need for quality assurance and the corresponding cost. Test automation and the associated technical skills now become essential. Only through automation can your testing organization achieve the agility you require, while ensuring quality, speed and cost-efficiency. As it evolves, test automation now becomes an essential enabler. In a continuing climate of digital transformation, automation becomes critical both in containing the cost of change and in ensuring the sustained quality of customer experience. As you increase the degree to which you exploit test automation, you augment the return on software investment right across the application lifecycle. 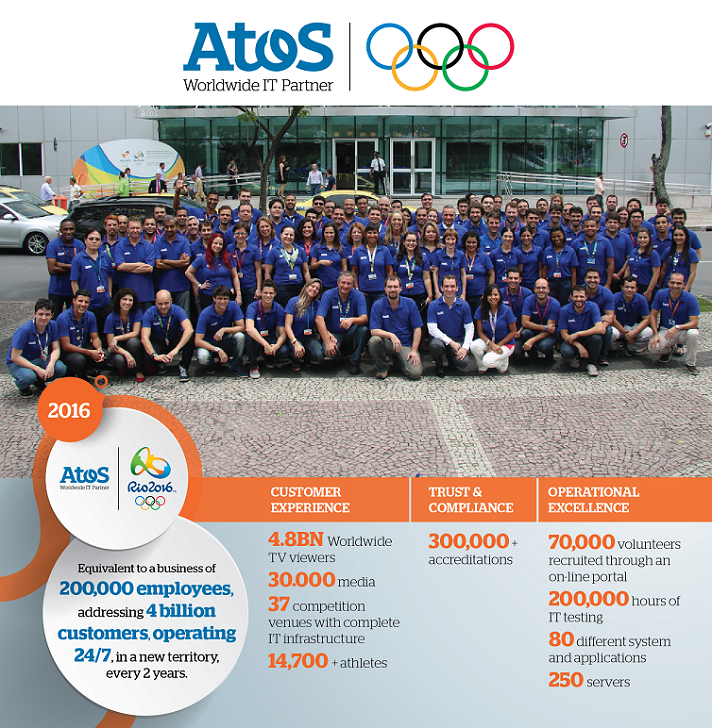 Testing for Rio 2016 reflected the transformational shift to the cloud, moving to a new and reusable IT delivery model and significantly increased automation. Why choose Atos for test automation? As a provider of test automation services, Atos delivers both improved efficiency and cost reduction. With an end-to-end approach, we reduce dependencies and limitations whilst improving coverage. We maximize automation and drive early-adoption. Technology agnostic, we can deliver automated testing either as-a-service from our shared service centers or as part of a fully managed testing service. A full range of testing services delivered through centers of automation excellence. Test automation is continually advanced through investment in skills, processes and tooling. Our investment in automation frameworks creates value and accelerates test cycles. The Atos automation team adds rigor throughout the test process, from due diligence to ROI tracking. is continually advanced through investment in skills, processes and tooling. 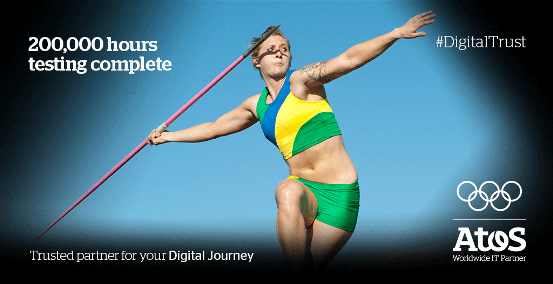 The Rio 2016 Games was a key milestone in the digital transformation of the Olympic Games, as we move to a new IT delivery ‘build once and reuse’ model, for which the cloud and automation are key factors. Eliminate complexity when creating test cases for business users and test engineers. See how model-based testing and Atos TEMPPO help. Test automation must continually keep up-to-date with advances in business technology. Our test automation teams work closely with the extended community of Atos innovation specialists. Test automation must be ready for accelerated growth in data analytics. Reliable software robotics and test automation combine in eliminating low-value human intervention. Interested in our Test Automation solutions for Automation and Robotics?